Ready for a Profitable Year? A roof over our heads is a necessity of life, and property is one of the largest life expenses for most of us, as our property needs grow and change through the stages of our lives. Along with a continued overall increased population, this growth and change contribute to an ongoing general growth in the real estate market. Among many other reasons, that is why the property has long been one of the major investment vehicles against inflation, remaining a safe haven for investment through the highs and lows of the economy, even in recent tumultuous economic times. Real estate investors benefit from the tangible nature of property and its stable growth in value. As a result, it has attracted large numbers of private investors, venture capitalists, mutual fund managers with derivative products in the security market like REITs, focusing on property investment and property development, which has been booming in the past decade. As with any investment, there is no guarantee in property investment. Though Real Property does provide more of a sense of security due to its tangible nature, and the property market is generally more predictable than other types of investments. The scale of change in the property market is a lot milder and slower in time than for instance the stock market, which can change dramatically in days or even hours. Looking at market trends, interest rates, and local economic conditions, we will have a rough idea of where a property’s future value is heading. Real estate almost always increases in value sooner or later, if not in the short term, then in the long term. Of course, you want to be careful to choose the right property in the right location, at the right time. Investing in an overpriced property in an area where the economy is tanking likely won’t pay out in the long run, which is why you need to do your research and ideally get the advice of a professional. Although with securities (e.g. stocks) we can also leverage other peoples’ money (a loan) to make money for ourselves, it’s a lot easier in real estate to do so. It’s commonplace to go to the bank and get a mortgage on a property, but borrowing money for securities investments is much harder, we are likely to get less money (if any), and the interest will be higher. Banks will also look favorably upon rental properties as a steady income stream that we can leverage to get even more money for further investment. Property investments can be structured to be effectively recession resistant. Since housing is a basic need, the rental property offers a steady cash flow in both upward and downward markets. Remember also that a drop in our property’s value doesn’t have to translate to a monetary loss until we actually sell our property, so we can always wait out a market downturn while enjoying the streams of rental income. This isn’t so for stocks, for example, because if a company goes out of business, it is, by default, out of business for good. Many options are available for what we can do with our property. We can rent it out, get a mortgage, sell when the market is right, or sell our current home and move in if the selling price is good for our current home. There are also a lot of options for how we can invest in real estate. A short list includes fix-up sell, buy and hold, short sales, build to sell, commercial properties, land development and more. 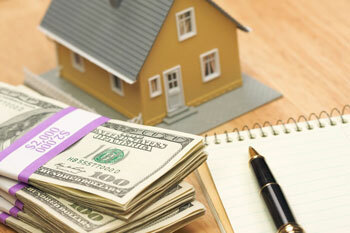 Even though real estate property is a good investment vehicle, it is not necessarily easy. When investing in real estate, besides considering each property’s physical condition and profitability, we need to take into account the four pillars of a successful property investment plan: Investment Strategy, Location, Timing and Risk Diversification. Investment strategies are tailored according to our investment purpose, risk tolerance and capital capability (how much capital we have access to), to select and invest in certain types of property in specific areas, and assign different types of property a ratio within our overall investment portfolio in order to reach our investment goals. In real estate investment, it’s all about local markets. We don’t want to invest in real estate in an area that’s about to have a large percentage of the workforce laid off, as there will be more properties for sale and they will sell at lower prices with fewer buyers. We need to consider location factors when investing in each type of real estates such as local development plans, economic trends, population analysis, major new businesses in the area, and how commutable a property is to major work areas, utility and Internet connections, and more location factors. Time does matter. As Time is one of the major factors in any plan, it is also important in a property investment plan. Don’t forget, there are condo fees monthly, roofs need to be replaced in about 15 -20 years. How many years of rental income will cover our capital cost or at least half of it? Decide how long you plan to keep the ownership of any particular investment property right in the beginning of your investment according to your investment purpose and goals, profitability and the cost of maintenance. The timing of buying or selling is essential too. It will be a good idea to invest before or during a likely market upswing related to a beneficial economic outlook or lower mortgage interest rate, or new jobs in the near future if a new big company is about to move to the area. We want to buy in a buyer’s market, as they say, and sell in a seller’s market. Diversifying our investments is one of the most effective ways to manage investment risk. When we invest in securities like stocks, bonds, mutual funds, etc., it’s always a good idea to also diversify our investment in properties for a balanced portfolio. Even within our property investment portfolio, diversifying our investment in different types of property and in different areas are also important in consideration of location risk, market risk, and capital risk. For example: Investing in a Toronto condo and a Peterborough fix-up sell for a short-term profit. At the same time, part of your portfolio can be directed at investing in income-producing properties like rental apartment buildings or student rentals in Peterborough or any other good location for long-term profit. As an investment, there is no guarantee of the profitability of any property, so educating ourselves is extremely important. With the litany of complexities in the real estate market, and the many options available to investors, it is important to dive into property investment with the guidance and assistance of property investment professionals like Realtors, Lawyers, CPAs, and Mortgage brokers, etc. Please feel free to contact us anytime and it will be my pleasure and privilege to discuss with you, your current property market trends and your investment plan. We would love to help you achieve a profitable property investment portfolio. Contact us to achieve a profitable property investment portfolio.